Many years ago, before kids, my husband and I went to the track to watch the horses race most evenings, now I only go a few times a year, but they are amazing to watch up close, so strong and fast, they are really beautiful to watch. 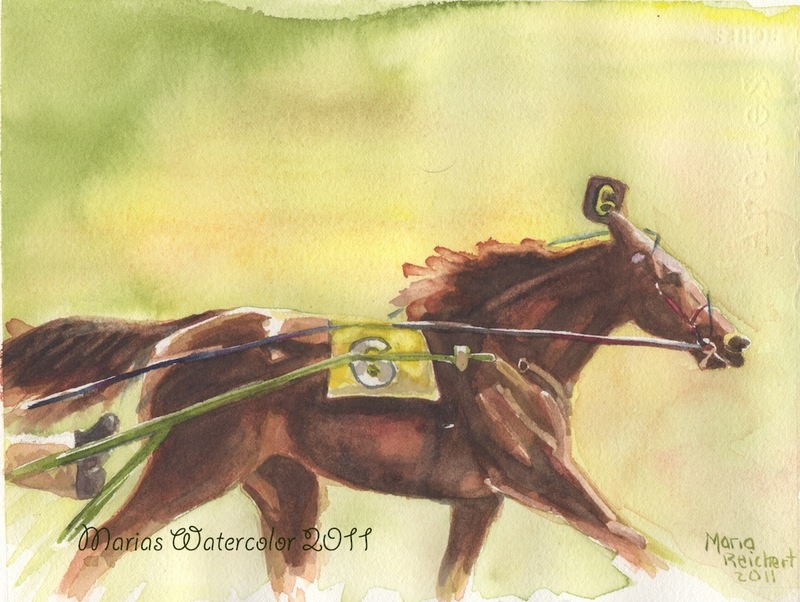 This was from a photo from The Little Brown Jug, last fall. Painting number 21 of 28 for February. I like this, Maria. you captured, simply, the shadows and musculature of the horse. Well done, Maria! I have never tried a horse painting - much less a horse in motion! Thank you both, I am so glad that you like her, this race runs in the fall and this year it was beautiful and sunny and the horses were so pretty in the fall lighting! Great painting material! 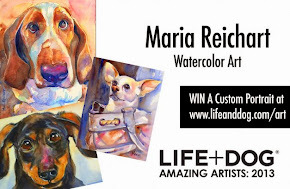 Great painting and paintings on your blog. Love the earrings too!